Automations allow you to schedule auto responders for when a subscriber is added to your list either via the web form or via the API. Simply give your automation a name and select a list. 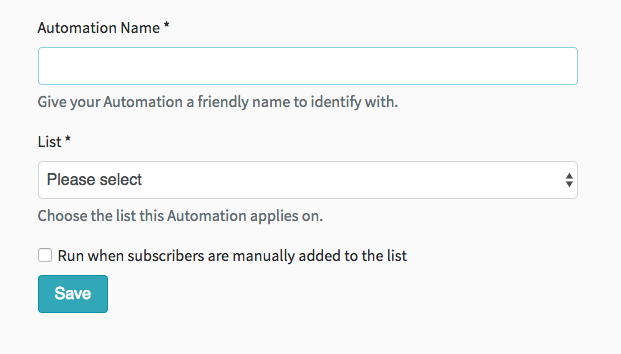 You can also decide whether the automation only runs for subscribers signing up through a form, or also when you manually import subscribers into the list.